A fine art Landscape Photo of Ireland taken at Lough Easkey in the Ox Mountains in County Sligo. 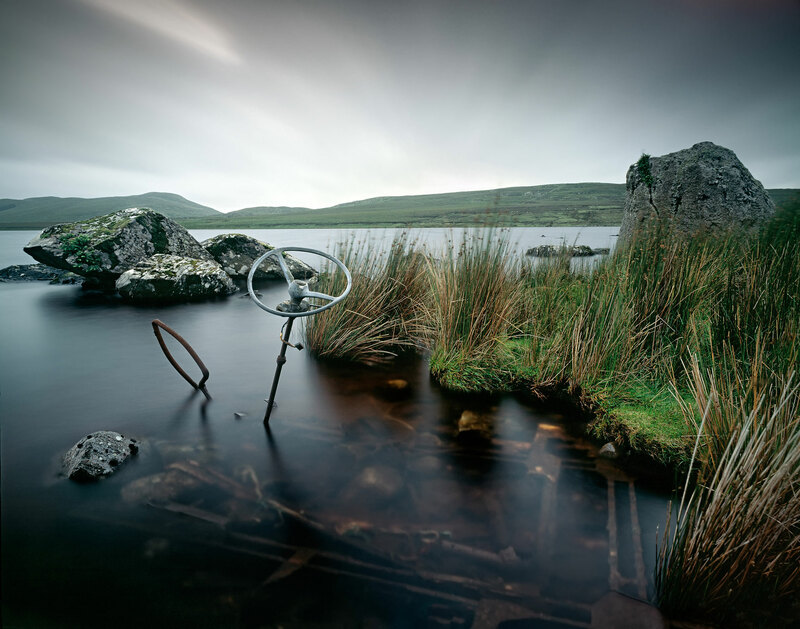 An old derelict car leaves a ghostly shape under the waters of Lough Easkey, County Sligo, a solitary place whose wide open skies and peat bog has a rare beauty. Lough Easkey, County Sligo 2 received a silver Award in the 2009 FEP European Photographer of the Year Awards. The image was exhibited in the first 2009 IEPA Photography Exhibition in Sado island Japan.